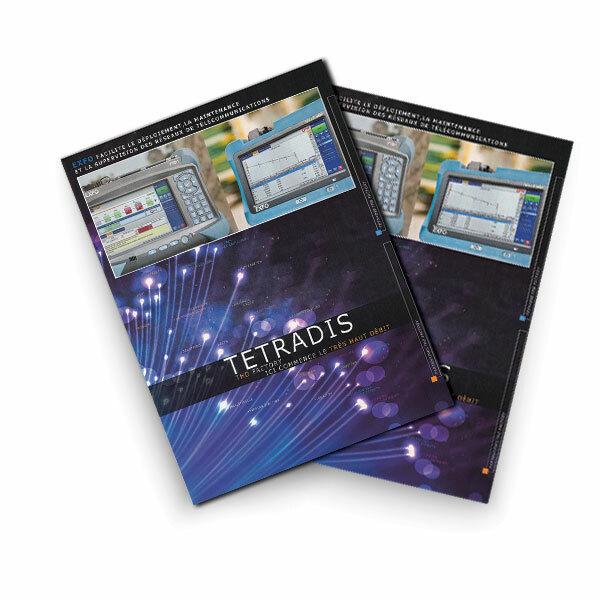 Leader on his market, TETRADIS is a dynamic company, specialized in high and very high debit interconnection solutions, on optical fiber or copper supports. Major actor on telecom’s, cabling, VDI and video networks’ market, TETRADIS make every effort to meet the most exigent expectations. Offering a large range of products in cabling, passive components, active equipments, measure appliances and tools, these are more than 17 000 references that are offered to customers. Besides his provider expertise, TETRADIS is also manufacturer for telecommunications networks, like splicing shelves or street cabinets. The company creates and develops its own products, allowing to do tailor-made and create the tomorrow’s market’s standards. Since May 2018, TETRADIS is also present in Ile-de-France, through the PACIFIC TECHNOLOGY entity, which is entirely dedicated to VDI products. Responding to a growing market in the Paris region, customers will have a stock of larger products available while benefiting from the range offered by the THD Factory. To be closer to its customers and digital deployments, TETRADIS offers a larger stock of products and specialized expertise in the field of VDI, thanks to its agency PACIFIC TECHNOLOGY, located in the Paris region. Quality, proximity and know-how, at the service of the customers. TETRADIS is today recognized for his expertise in telecommunications, VDI and security domains, and his incredible expansion. Its innovations, its strong development capacity and its commitment to satisfy customers have been recognized many times through labels and prizes. These are the proof of a recognized expertise by the market’s actors. With more of 40 years of ground experience, TETRADIS has an important technical knowledge that it shares with its customers, by the way of reactive and competent sellers. Always closer to you, the sales team and all the collaborators commit to give you a quality professional service. Having at heart its customers’ satisfaction, TETRADIS selects with exigency its commercial partners. Thanks to more than 120 partnerships, TETRADIS offers today more than 17 000 product references and constructor solutions. TETRADIS offers to all his installers and final clients a kitting service, that is an upstream assembly of designed solutions according to customers’ needs. Thanks to its integrated research and development service and its production department, TETRADIS produces and creates, with local partners, its own range of products. Design, development and production « made in France » with local partners. TETRADIS fits in a sustainable development approach, with a carbon print the weakest as possible. All the developped products under the « TETRADIS thd factory » label are tested and approved. B1 grades certified components are qualified at 100% Interferometry PASS and serialized.